Nedbank Namibia in partnership with the Lionesses of Africa organisation held a women entrepreneurs networking event in Windhoek last week. Lionesses of Africa is a fast-growing network of women entrepreneurs with over 730,000 members across the continent. The event served to inspire the entrepreneurs and provided a great opportunity for business networking. “Entrepreneurs are transforming our world and the way we live. 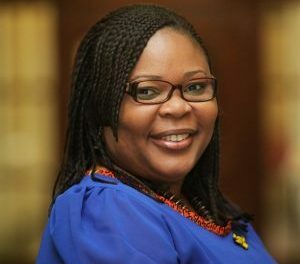 It is well known that innovative minds are creating new businesses and jobs, growing wealth of global economies and sparking development change,” said Lionesses of Africa, Chief Executive, Melanie Hawken. However, female leaders and entrepreneurs frequently face challenges, including a lack of female role models and mentors as well as lack of access to funding. Also speaking at the event, Brit Du Plessis, Nedbank Head: Business Banking, said Nedbank is addressing these challenges and has tailored its service offering for the movers and shakers of the economy, business women and female entrepreneurs. “Just as your drive and passion as entrepreneurs is unrivalled among your peers, our financial service offering stands out among our competitors,” she said, further outlining that business clients have access to a reliable mentor as well as streamlined and efficient services through a designated relationship banker. 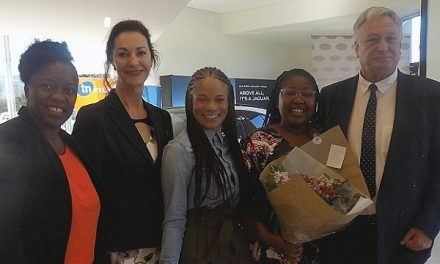 Du Plessis emphasised that services, including education and retirement planning, PayToday and the Nedbank Techloan, open many doors for female entrepreneurs and business women. “With the support system that the Lionesses of Africa provides and with the backing of a reliable financial institution like Nedbank, you have the power to promote sustainable change your community, your country and the world,” du Plessis said. Participants also heard inspirational testimonies from the other guest speakers including Nangula Shejavali, the founder of Leading Edge Namibia, Sandra Mwiihangele, the founder and Chief Executive of Kiyomisandz and Melissa Mukaiwa, the founder of Just Breathe. 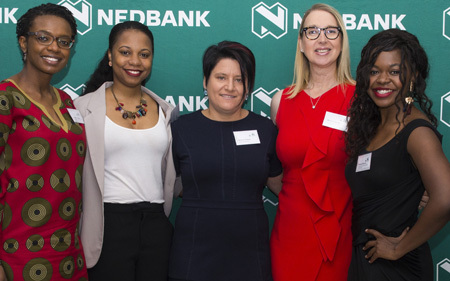 Nedbank Namibia served as an important partner for the event, rallying female Namibian leaders and welcoming them to this insightful, supportive and inspirational community. Participants were able to network and establish meaningful, professional relationships with peers from various sectors. 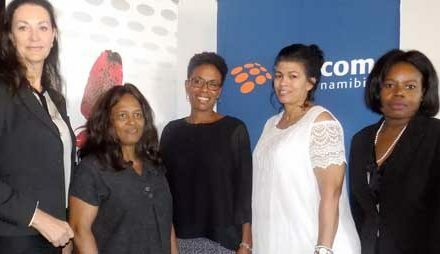 Caption: From the left, Nangula Shejavali, Co-founder of Leading Edge Management Consultants, Sandra Mwiihangele, Founder & CEO of Kiyomisandz, Britt du Plessis Head of Business Banking, Nedbank Namibia, Melanie Hawken, CEO of Lionesses in Africa and Melissa Mukaiwa, Founder of Nica Creative & Just Breathe.